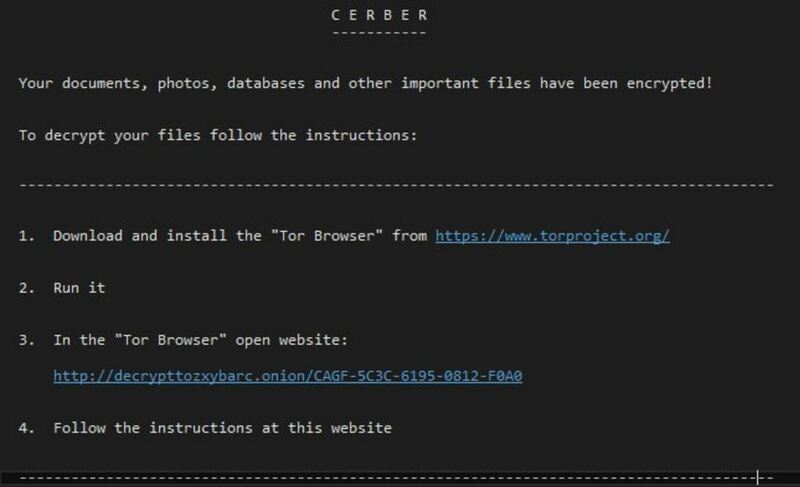 The Fake Cerber Ransomware removal guide shows victims how to restore their computers and .encrypted files from the virus. How Does Fake Cerber Ransomware Infiltrate the System? Similar to other imposter viruses the Fake Cerber ransomware can use the same popular distribution techniques as the famous malware family. One of the primary strategies is to use email spam messages that include social engineering tricks to confuse the targets into infecting themselves. The virus file can either be attached directly to the emails or linked in the body contents or signature. The Fake Cerber ransomware can also be spread by using a payload dropper – infected documents and software installers. They deliver the Fake Cerber virus when the users interact with the files. Browser hijackers operated by the hackers constitute a danger to the privacy of the victims by changing the default home page, search engine and new tabs page to a hacker-controlled site. They can deliver the Fake Cerber ransomwre as part of their initial infection chain or through use of the relevant sites. The criminal developers of the Fake Cerber virus can create download sites that imitate legitimate software sources. Redirection scripts, ad networks and other scripts can also lead to an active infection. 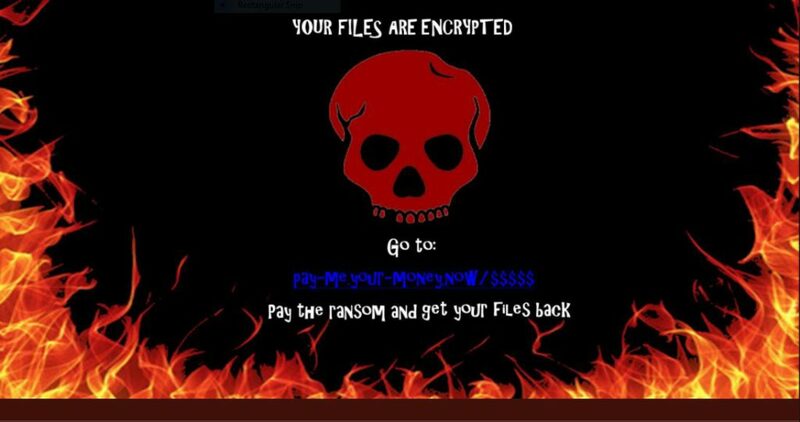 Malware specialists detected a new computer virus that is dubbed Fake Cerber ransomware. It has been made to scare victims into believing that their machines are affected by the famous malware family. The Fake Cerber ransomware follows the usual behavior patterns by launching the encryption engine after the infection has been made. Like other similar threats the processed files are selected according to a predefined list of file type extensions. They typically include the most commonly used files: archives, backups, documents, videos, music and etc. When this is complete a ransomware extension may be added, depending on the Fake Cerber virus version it may be differnet or follow the conventions of the real Cerber ransomware family. The text makes the victims visit a hacker-controlled payment gateway where they can make transaction. At the moment of writing the URL seems inactive and as such the computer users have no way of restoring their computers and files other than to use our complete in-dpeth guide. We explain how the Fake Cerber ransomware can be effectively removed using a quality anti-spyware solution, the affected data can then be restored using a quality data recovery solution. WARNING! Manual removal of Fake Cerber Ransomware requires being familiar with system files and registries. Removing important data accidentally can lead to permanent system damage. If you don’t feel comfortable with manual instructions, download a powerful anti-malware tool that will scan your system for malware and clean it safely for you. WARNING! All files and objects associated with Fake Cerber Ransomware should be removed from the infected PC before any data recovery attempts. Otherwise the virus may encrypt restored files. Furthermore, a backup of all encrypted files stored on external media is highly recommendable.